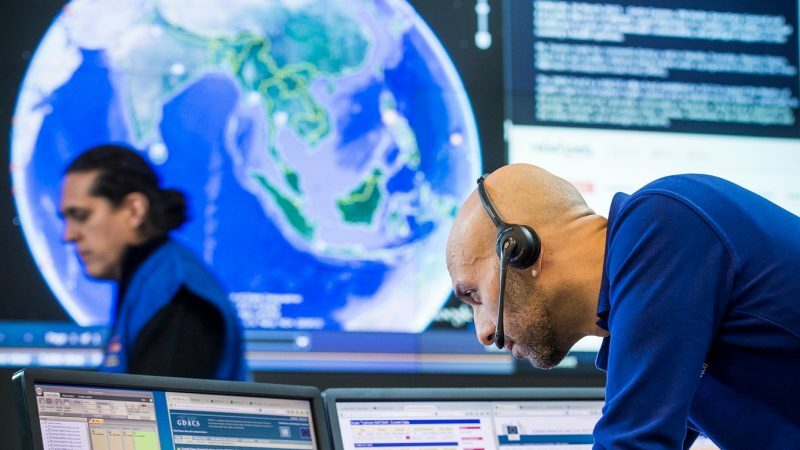 As the May 2019 EU elections loom and a new European Commission takes office, climate action can become a key driver of a reformed EU project for more solidarity, protection and innovation, writes Luca Bergamaschi. Luca Bergamaschi is a Senior Associate at E3G, an independent think-tank operating to accelerate the global transition to a low carbon economy. Climate impacts throughout 2018 were a stark reminder of the vulnerability and unpreparedness Europe faces, with the most vulnerable bearing the highest costs. If Europe wants to effectively protect its citizens, this needs to change. Our report, Managing climate risk for a safer future: a new resilience agenda for Europe, sets out how a new political agenda for resilience could look. No aspect of our lives will be untouched, and no country can manage climate risk alone. The existential threat of climate change is all encompassing and so must be Europe’s response. Without increasing commitments and accelerating their implementation, the world will continue to move towards 3°C of warming by the end of the century. Some regions will be hit harder than others, with Southern Europe projected to be a hotspot for impacts. Without deep change, an unprecedented level of disruption is expected in Europe throughout this century. 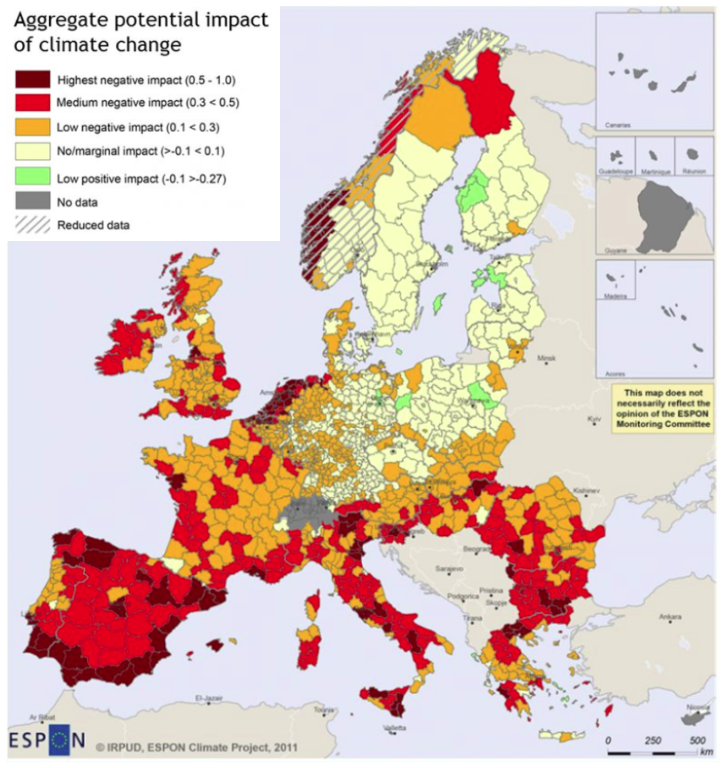 New research from the European Commission’s Joint Research Centre estimates annual damages from coastal floods could be as high as €1 trillion per year affecting over 3.5 million people, drought-hit cropland could increase 7-fold, agricultural yields could decline by up to 20%, and the land burnt by forest fires could double, while almost one in two Europeans would be affected by water scarcity. However, real-life impacts and consequences are set to be worse than estimated as second and third order effects, which are hardly captured by existing socio-economic assessments, will fundamentally alter the lives of all Europeans and transform European politics. These include food shocks, trade disruptions, increased migration flows, the potential of new conflicts and the material impacts of climate “tipping points”. 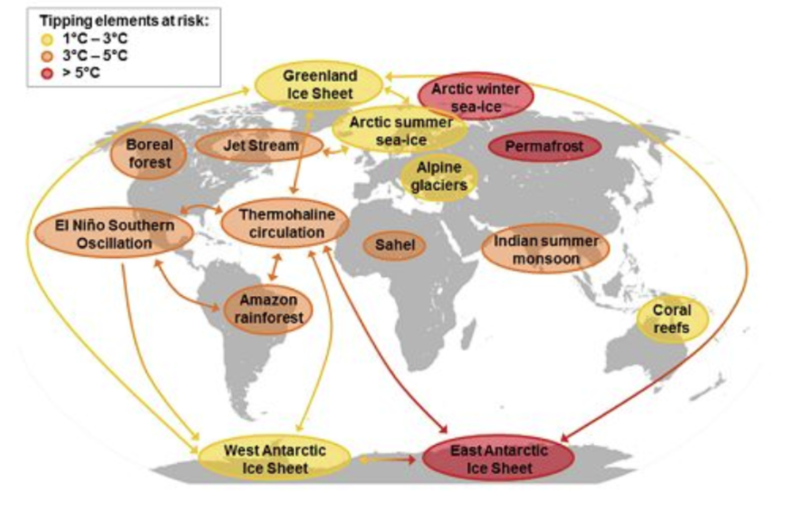 As the earth system heats up, the risk that its vital organs – known as “tipping elements”, such as the polar ice sheets, the Amazon forest, the coral reef and permafrost – react in non-linear and abrupt ways significantly grows. As all Earth’s elements are interconnected, once the process of tipping points starts it may be very difficult or impossible to stop, pushing the earth system irreversibly onto an unmanageable “hothouse earth”. Embeds a new climate risk management framework at all levels of the policy-making system. The framework should aim to deliver net-zero GHG emissions well before 2050 (this requires a new 2030 EU-level, GHG reduction target in the range of 55-65%) and stress-test existing and new policies against the delivery of 1.5°C; budget, plan and build resilience against the impacts of 3°C to 4°C of warming; and develop contingency plans for a rapid onset of warming of 5°C driven by climate tipping points. Shifts the EU approach to disaster risk from reaction to prevention. The portfolio for managing climate and disaster risks should be coordinated centrally under the direction of the First Vice President. The European Environment Agency should be empowered, and funded accordingly, to conduct more comprehensive monitoring and assessment exercises of climate vulnerabilities and risks. This substance should feed directly into the work of a new institution – the European Energy and Climate Risk Observatory – that assesses the full degree of risks and makes suggestions for integrating them into all aspects of policy-making. Closes the protection gap. The next EU budget should support projects that aim to close the protection gap of vulnerable populations as rising insurance prices will widen the protection gap between who can and cannot afford insurance. Climate-proofs the EU budget and infrastructure planning. All EU spending and infrastructure plans should be proofed against the climate risk framework, exclude all fossil fuels and integrate the “energy efficiency first principle”. Delivers a fair and deep decarbonisation through innovation and real-life transition labs. Reaching carbon neutrality requires public investment to focus on zero-carbon solutions, mission-oriented programmes and large real-life laboratories which requires “system level” innovation with digitalisation at its heart. Builds resilient infrastructure through new assessments to understand how existing infrastructure will be affected under different level of warming. “Green infrastructure” solutions must also play a more central role. Reforms the financial system for addressing systemic financial risk. The EU needs to take forward measures for mandatory disclosure of climate-related information as well as approve a new financial taxonomy of economic activity aligned with a 2050 strategy compatible with 1.5°C. Develops new EU climate and energy diplomacy. The European External Action Service should allocate new resources to scale up its climate diplomacy capacity, align all EU external policies with 1.5°C, build resilience and align energy diplomacy to the EU climate objectives. Develops and adopts Paris-compatible rules for trade. Trade agreements should make the implementation of the Paris Agreement binding on trading partners and ensure protection of the highest environmental and labour standards, including for public procurements. Makes the United Nations fit for purpose. The next Commission should make reforming the UN to face climate risk a regular item of the EU Foreign Affairs Council to further consolidate the ongoing efforts by Member States. This new agenda on climate resilience should contribute to improving the trust Europeans have in their institutions. Fundamentally, this is about redefining the social contract between citizens and institutions in a climate changed world. Only by effectively engaging its citizens in a shared, mission-oriented transformation for their own well-being, can the next EU Commission strengthen the core mission of the European project of securing peace and prosperity for all. This is an excellent wishlist and certainly a useful addition to much of the policy work that is ongoing. The new gas package is an obvious starting point for change. However, sometimes I think that paring these components back to the most basic and essential ideological structure is a good place to start. Some reports like to look at ‘electrons’ vs ‘molecules’. This has been the case from both the electrification side and the (in my opinion) more balanced ‘gaseous fuel’ side. 20% of the energy system is electricity, although some of the remaining 80% can be whittled away if we consider the inefficiencies inherent to combustion engines, which are between 17-25% efficient. Many energy agencies still use Primary Energy values, which disregard the unavoidable losses in the conversion of fossil energy to electricity or mechanical force. This inflates the usefulness of fossil fuels and downplays the usefulness of renewable energy. However, this does presuppose that we can somehow avoid a large percentage of this wasted energy, usually via the use of batteries in automotive transport. We are very unlikely to make to the dramatic reductions in efficiency loss that some analysts might hope for – for example fuel cells are a factor of 2-3 times more efficient than combustion engines, but not the 70-80% reduction in energy offered by BEVs. It would be great if we could get rid of gas peakers and other dispatchable power, but the vagaries of the universal daily energy curve imply that we will always need some form of dispatchable power, rather than trying to massively overbuild the electricity network. So I think its very useful to focus on gas as this is going to replace most other fossil fuels, going forward. Coal and oil will both be some form of gas, and the least problematic from a carbon procurement perspective is hydrogen – even though methanation can be achieved during the electrolysis stage now, with much less wasted energy. However, this requires a lot of CO2, and produces methane which will leak. So much of the argument now rests on how far we can realistically bring this agenda forward, and what options exist with decarbonised gases. Electrification hardly needs further promotion although its drawbacks are becoming more and more obvious, in a number of sectors.